Only 4.5 km from Roses you’ll find this familiar cove with plenty of amenities. 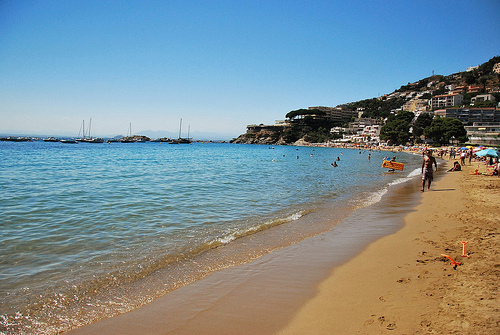 Fine sand, and a 450 meters length, Cala Almadrava is the last great beach in the south of Cap de Creus, before entering the area of the protected Natural Park. The name of the Almadrava cove comes from an old tuna fishing technique that was used in Roses and from the XVIth century to the first half of XXth century. This kind of tuna capture was based on networks. Almadrava Creek is also known as Canyelles Grosses, bigger in comparison to other neighboring creeks and its ‘relative’: Canyelles Petites. The waters of the beach are very quiet and pleasant. 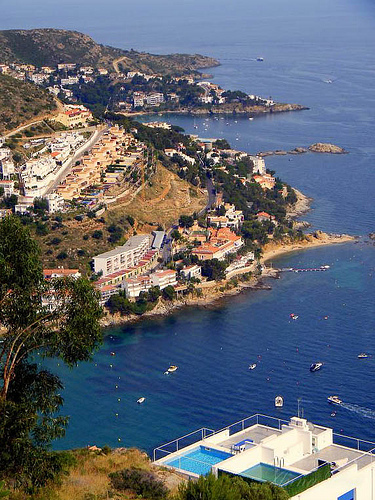 The cove is protected from the Tramontana wind that comes from the north. The water on the shore is shallow, so you will not notice big variations in depth as you go into it. The sand surface type is fine and golden brown toast. 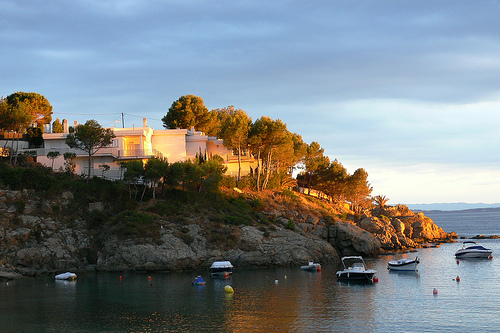 As we mentioned, Cala Almadrava has all kinds of services of a cove for the family. Well-connected to the center of Roses, that you can reach by bus, on the beach can also find showers, toilets, chairs, bar and even beach volleyball fields, and kayak rental. It is important to observe that it is also adapted to the handicapped. From Cala Almadrava to the north starts a coastal path that reaches Cala Montjoi, where the El Bulli Foundation is located, the brilliant chef Ferran Adrià gastronomical center.